Good running shoes are important for making your workout more effective. If your shoes are uncomfortable or don’t provide you with the support that you need, you are going to feel a lot of pain, not workout as hard, and often give up on the whole idea of getting in a good workout. So for the health of your feet and the rest of your body, you need to find the perfect running shoe that is going to keep you moving for a long time to come. While there are many good running shoes on the market, when you suffer from plantar fasciitis, you need to pay special attention to the type of shoe and all the specifications. Regular running shoes may not have the cushion, arch support, and other features that your foot needs to avoid aggravating this foot problem, and you are going to feel miserable until you make a switch. They could be the best running shoe in the world, but without support for the plantar fasciitis, you are going to give up. If you are really into running and want to find the right shoe to help you, you need to go to the companies that have you in mind. There are quite a few companies, like New Brand, Assics, and so many more, that provide fantastic running shoes that are able to also give you the support that your plantar fasciitis needs. Many of these are easy to fit into your budget and you will love how far you can run without all the pain. Check out some of these shoes below and find your perfect running companion. 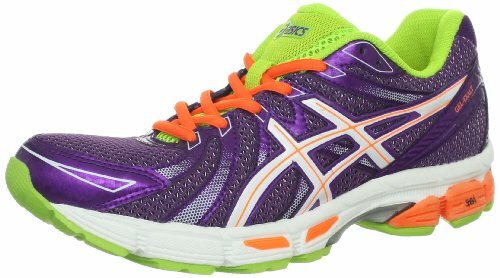 ASICS is one of the best when it comes to great running shoes for women. Their insoles are set up to form to your feet, so you will get the support that you need not only to deal with the plantar fasciitis issues, but also to deal with the area where you land during running. There is also a layer of memory foam right by the ankle, so you can get comfort and just the right fit in all parts of the shoe. If you were a fan of the 17’s, you will find that the 19 is pretty similar and it will work on all your heel and arch issues. 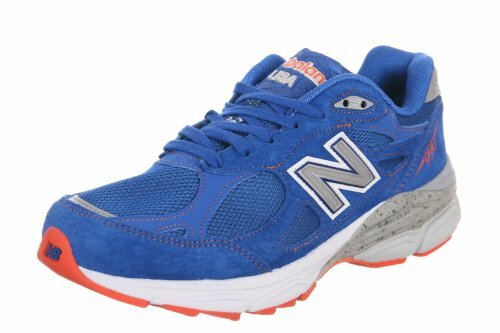 Many customers find that these shoes are easy to wear around all day so even if you aren’t a runner and just need a nice pair of shoes to make it through the day, these can be the answer that you need. 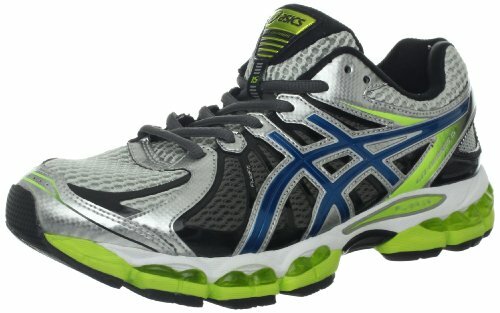 This is another great running shoe that comes from a great brand ASICS. There is so much to enjoy with this version of the running shoe. The synthetic mesh is easy to keep clean and allows your foot to breathe while you are running or even for wearing the shoe all day long. The rubber sole is easy to wear in all sorts of terrain and you will love that the traction makes it easy not to slip at all. The heel on this shoe is about an inch so you get that bit of incline that you are looking for and the padded collar and tongue can give you a bit of extra support and comfort where you need it most. This particular type of shoes was designed to help deal with neutral and over pronation so you won’t feel as much pain walking around in these shoes. The Trusstic system in the shoe is also good for reducing how much weight is in the shoe while still keeping the stability your foot needs. 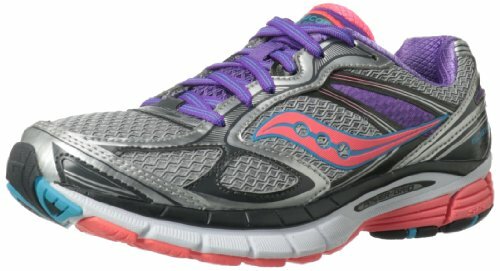 Saucony has provided all sorts of running shoes for women no matter what your personal style may be. This particular option from Saucany is a good option to go with because of all the great features and even the styles that you will be able to choose from. The shoe is made from a unique combination of manmade materials and nylon and the rubber sole has all the traction that you will need to keep running in any whether. The midsole in the shoe is dual-density so you get some added support in the arches as well as PowerGrid full length cushioning for the rest of the foot. Make sure that you try on this shoe before you purchase though, especially if you have used the Saucony brand in the past. You will notice that this shoe style is a bit different than the others, so you will want to make sure it fits properly for your needs. 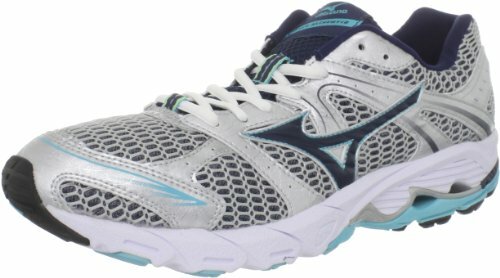 This Mizuno running shoe is a good option if you are looking for one that is lightweight and won’t weigh you down during running. 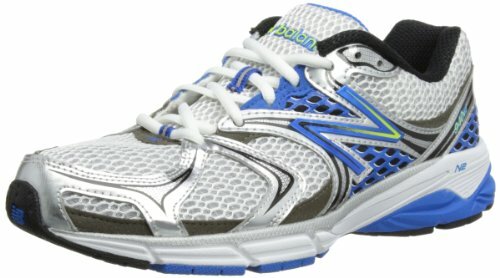 This is the true running shoe because you don’t want anything, even the weight of your shoe, to slow you down. The Alchemy 12 running shoe is made of a combination of synthetic and mesh materials to give you the sturdiness that you need for your plantar fasciitis as well as the breathability on those hot runs. The Mizuno Wave, a special feature found only in these shoes, is put right in the midsole and will dissipate the impact so you aren’t putting as much pressure on your joints and bones. The Smooth Ride Engineering inside the shoes helps you to get a smoother transition going from your heel to your toe. 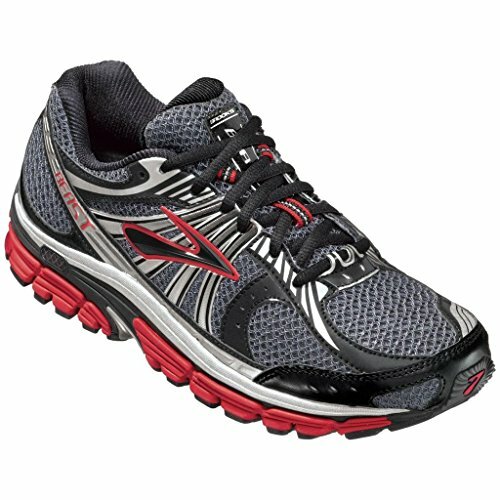 If you are a diehard fan of the Alchemy 11, you may be a bit disappointed in this running shoe. It is quite a bit different compared to the others and some of the past users of the Alchemy products were not that fond of them. But if you have never tried out Alchemy shoes in the past, this is a great option for you to go with. 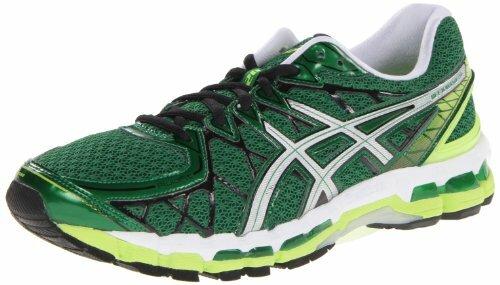 ASICS is dedicated to bringing a running shoe that everyone is going to enjoy. 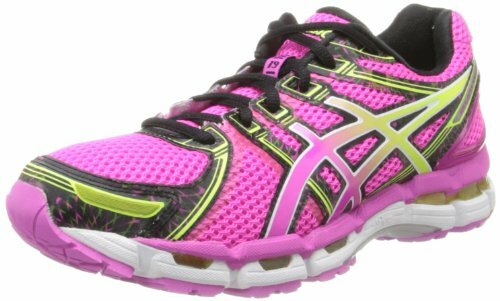 Whether you are looking for a budget friendly shoe, something that fits your style, a great running shoe for heavy duty movement, or something comfortable to wear all day long, you are going to find that ASICS is the right choice for you. This one is perfect for those who have plantar fasciitis; the arch is almost 3 inches high so you can correct the problem and feel comfortable no matter how bad it may get. The Biomorphic fit has a lace up closure on the top and the shoes are really light and great for training when you first get started. Runners will appreciate the GEL cushioning that helps their feet feel amazing no matter how much they are moving. 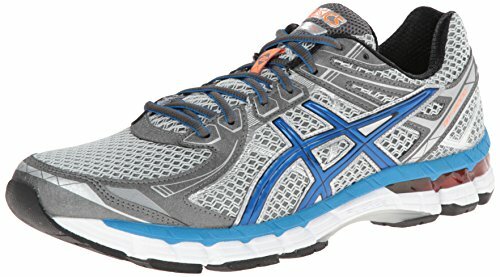 If you love the ASICS running shoes but feel that some of the other options are just a bit out of your budget, this is the best running shoe for you. It provides all the comfort, support, and features that you have come to love from this company, but for a more affordable price so you can enjoy it as well. The heel has some extra cushion to take some of the impact during running and you will notice right away that your ankles, back, and even knees begin to feel better when wearing these shoes, even if you wear them all day long. One complaint that a lot of individuals have with these shoes is that they are a bit small. You may want to go up half a size or so, or go into a store to try these on, in order to ensure that they are going to fit properly and provide you the support where you need it most. They are also pretty narrow so if your feet are normal to wide, you should go with one of the wider styles to get more comfort. 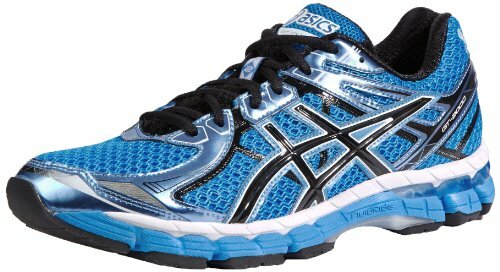 If you want the very best in running shoes and want to make sure that they are going to support you while lasting for a long time, these are the ones to go with. 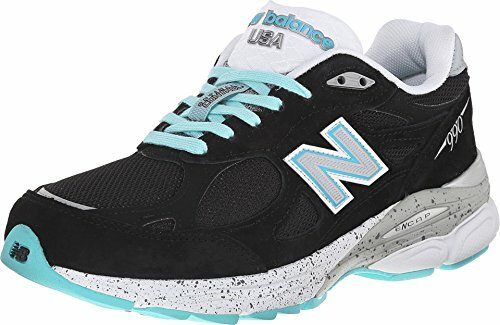 New Balance has put a lot of great technology into these shoes so that you can have a great time running without harming your feet. Inside the shoes you will find a dual density collar; this will use a softer density on the foam to provide you with the soft cushioning that your foot needs in running as well as a second layer that is firmer for that support. The mesh and pigskin upper of the shoe will provide some extra support, but it is also light enough that you won’t notice the extra weight when running. You can also choose from a variety of colors and styles to find the one that is perfect for you. 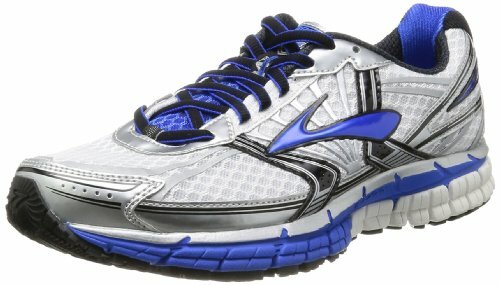 This running shoe from Brooks is a great option to go with when you want a high quality shoe with a lot of support and cushion. There is a large layer of foam, especially when you get near the heel; this is great for those who need a nice bounce when they are running or if you want to avoid some of the impact. The insoles feel just like memory foam and you will feel like they mold into your feet in no time. It is going to be a bit heavier in terms of running shoes, but you are getting a lot of padding and other great things in this shoe. You can add in an extra arch support if you need to make this the perfect running shoe to get you moving. Finding a good running shoe that can fit up with the extra weight and hardiness of the male runner is not always the easiest. But your search can end now thanks to this great option from ASICS. The material is synthetic, but the rubber sole has all the traction to keep you going both at work and on the run. Inside the shoe you will notice that the gel cushioning system makes it easy to run without causing too much harm on the joints and the forefoot gel adds some more support. The best part about theses shoes is the impact guidance system; you will be amazed at how much better it feels to run when you have this help. While these have a great arch support, if you are a heavy runner or exerciser, you may find that the shoes are not that good at holding up. The fabric in the heel can start to wear out near the heel tendons and some of the material starts to fall apart. This mainly applies to those who are working out for more than 15 hours a week; those who wear them for work or for light running, these are going to be perfect. 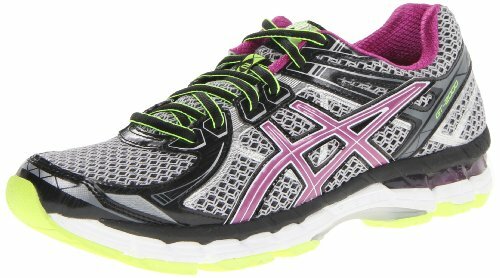 If you are looking for something that has a bit more when it comes to the arch support and all the support that you need to avoid too much impact when running, this option from ASICS can really help you out. It provides a FluidRide midsole so that you are able to support all the most important parts of your foot when you’re suffering from plantar fasciitis while you are out and running. Some customers complained that the sole will deteriorate pretty quickly, making them a lot less effective and will result in less traction when running. Others complained that the shock absorption is pretty much gone and this could be a problem on your feet. 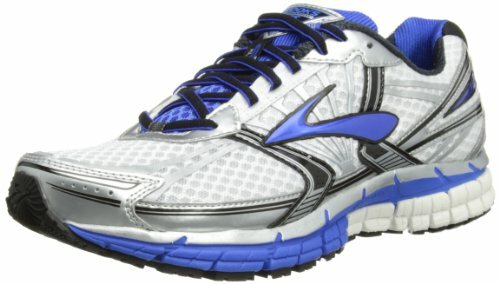 Another option that you should consider when you are a heavy duty runner is the Adrenaline style from Brooks. This is a great shoe that is meant to help you get low impact and all of the support that you need to deal with your plantar fasciitis. There is just so much for you to enjoy with these running shoes. First, the Omega Flex Groove are going to allow for a bit more natural forefoot movement and fluidity so you aren’t feeling trapped into the shoe. The HPR Plus means that there is extra durability put into some of the areas that experience the most impact and use. The linings in the shoe are breathable and can keep away all moisture to keep your feet drier and cooler. Add in the crash pads that give you all the support that you need for the easiest heel to toe transition out of all running shoes and you have found your perfect shoe. One thing to keep in mind with these shoes is that they are on the higher end of the budget. This is worth it to some consumers because of all the support they are able to get and the other great features. For others who are on tight budget constraints, it may be better to go with another option that may have a bit less support, but will still help out your foot issues. Even if you decide the price is worth it, you should try on these shoes and experiment with walking around in them to make sure they are the right fit, comfort, and support for you. 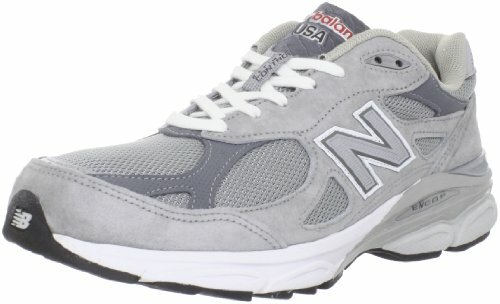 New Balance has created the perfect running shoe for many different health and foot issues. The fabric is heavy duty so you will be able to wear the shoe for a long time and you will appreciate that the shoe is made in the United States. This particular shoe is built for moderate and severe over pronation of the foot. You will also notice that there are some flex grooves in the front of the foot to help support a bit more and low to the ground cushioning so your food feels really comfortable on that high impact running. It is also approved for most Medicare and diabetic patients so you know you are getting the best shoe possible. Before ordering this product, you should consider trying on the shoe. Some have found that the arches and supports just don’t fall in the exact right places that they need, and this can make the shoe really uncomfortable. With a name like Beast, you know these running shoes are going to be amazing for your feet. First, these shoes come in multiple colors and widths and you are able to add in your own inserts and orthotics so you are sure to get the exact support that your foot needs. The Diagonal Rollbar Accel adds in the rigidity that your forefoot needs while also supporting the midfoot. This feature makes it easy for the forefoot and heel to act independently without causing any pain or discomfort. Brooks BioMogo is the first ever midsole that is biodegradable and it won’t cause any harm to the environment or change how well the shoe is able to perform. This is state of the art technology that you are going to love. The best part is all of the cushioning and support that will form to your foot and ensure that you are feeling comfortable no matter how far you run. With all the colors, styles, and comforts that you can get out of this shoe, this is definitely one that should make it on your list when looking for a new running show. The rubber forefoot is comfortable while still providing all the lightweight cushioning that your foot needs to stay in place and not aggravate your plantar fasciitis. The cushions are in all the right places, ready to take on any impact you go through while running while making sure that you don’t add any unneeded stress to your body. Many customers have raved how well these shoes work for helping with different feet issues even when you just wear them on a daily basis for regular use. If you use these shoes often or are a high intensity runner, you may want to be careful with the sole. There are several high intensity runners who were not impressed in how quickly the sole ran out. For those who are just wearing the shoes for work and light use, you will find that these shoes are going to last for a long time. If you plan to use them for a lots of daily running, you may need to find something that has a bit more sturdy in the soles. 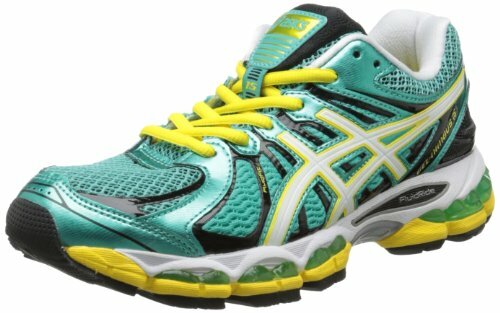 This is another great option from ASICS that will give you all the support that your plantar fasciitis desires. 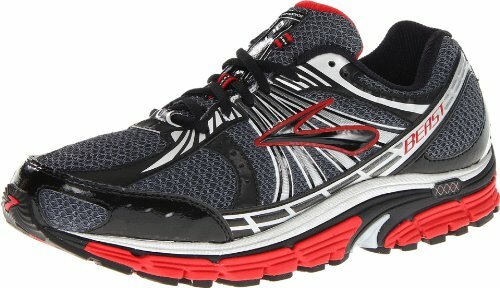 You will like that these shoes are really lightweight so they won’t interfere with your running and the neutral trainer has a lot of cushion to keep your feet comfortable whether you are going on a short run or for a long distance run. The GEL cushioning will feel amazing on your feet and can stop some of the impact, making it so much easier for you to run without all the achy joints and bones. With all the great designs and colors that you can choose from, you are going to enjoy how great this shoe feels, whether you walk around or go on long runs. Finding the right running shoe can take some time and extra consideration when you want to take care of your plantar fasciitis issues. Whether you like to go running for your health or you want a good pair of tennis shoes that can support you throughout the whole day, you need to make sure to find one that will provide you the right support to your arch and the rest of your foot. The running shoes listed above are the perfect choices to allow you to keep on moving all throughout the day while feeling good and avoiding the pain.